When you are going out with your girls on a backpacking trip, or you are planning to go alone, a comfortable backpack matters a lot. If you have one of the best backpacks for women, that is comfortable and meets all your requirements, you can enjoy the trip fully. 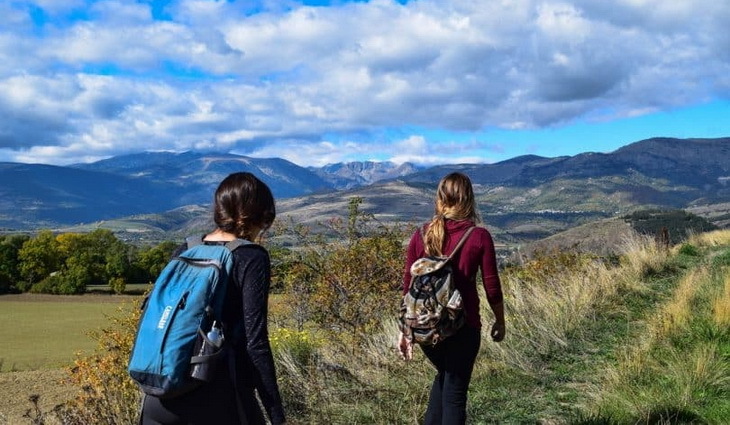 To choose the perfect and right backpack can be a bit confusing, but for your ease we have reviewed some of the best women’s backpacks available in the market. There are a quite few things that you need to evaluate before making a decision. Women backpacks are exclusively designed for a women’s torso. They are also lighter in weight because of the lessened size, obviously. These few changes make them comfortable for a woman’s body. Still, there are a lot of women with broad shoulders and capable of carrying large frames, so it’s best that you pick a backpack that fits your body type. The important things that you need to take into consideration before buying a certain backpack model, are following. It is important to consider the features of backpacks before you purchase one. You will want something light, comfortable and easy to take with you. Below, you will learn about the important features, so you can decide which backpack is right for you. When you are choosing a backpack, its comfort level is the most important factor, because a comfortable model means a comfortable trip. You need to make sure that the backpack is comfortable or not when it’s empty and when it’s loaded. 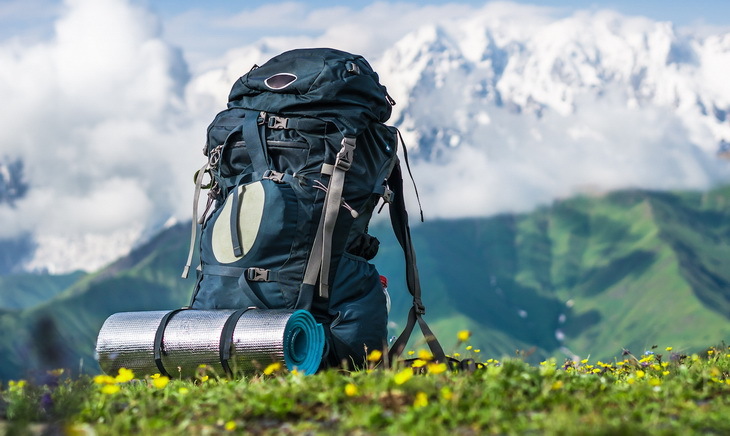 Mostly, if the weight of the empty backpack is lighter, then it is made for lighter weight carrying, and if the weight of an empty backpack is heavier, then it can carry heavier weight comfortably. However, you need to check out yourself, the overall support and cushioning the backpack can offer. Another important feature of a backpack is its weight. You need to evaluate the weight of the backpack by loading it with all the necessary things you are going to carry. The extra weight of a backpack can be due to extra padding, material or even heavy zippers. 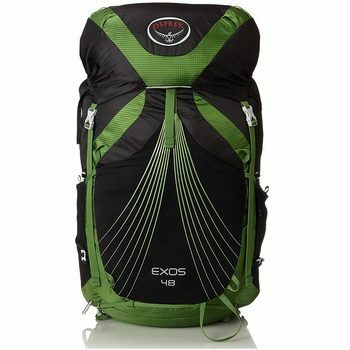 If you are an ultra-light backpacker, then you need to consider the weight before picking a backpack. Comfort should be your top priority because it will help you move around a lot faster. Suspension directly depends on the frame of the backpack. It is responsible for distributing weight across the back from shoulders to hips. There are a lot of new designs available in the market, some of which have this system, where the backpack remains stable in the shoulders with the coordinated movement with the hips, because of the hinging system at the lower back, attached to the hip belt. This system is very comfortable and helps to distribute the weight evenly and keeps the pack stable. The only downfall is that it adds weight to the backpack. Another thing that is in reference to the suspension is the back panel design of the backpack. This portion rests directly against the back, so it is really an important factor for comfort. 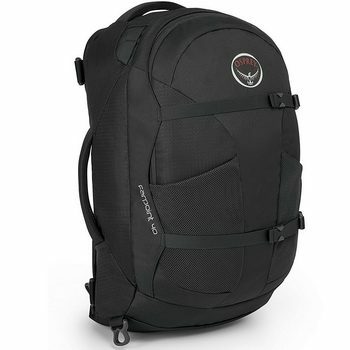 Most back panel designs allow the airflow between the back and the backpack. Ventilation is really important for comfort. The closer the pack is to the back, the better the stability is. The backpack should be easy to use like it should be easy to pack, adjust, and manage. The space should be easily manageable, and the packing and unpacking of the stuff needs to be easy too. You are going to be packing and unpacking your gear from the backpack all the time, so that proves the importance of convenient use. If the space utilization is easy, then you can save time finding things in the backpack. The customization and organization are the important features of a backpack too. 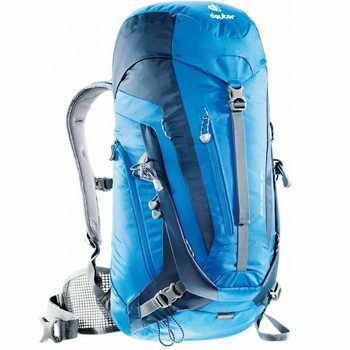 Adjustability of any backpack refers to its ability to become accustomed to the size and shape of the backpacker. If the fitting of the backpack is good, you will be comfortable throughout your trip and you will enjoy each moment. Some packs are designed simply, thus they allow adjustment for only shoulders and waist, which can prove to be a plus for certain body shapes. There are packs available that provide adjustment to the torso length and hips. You just need to pick one that suits your body type the best. The hip belt is another important feature that adjustability offers. You need a backpack that fits you comfortably and you can adjust it during trailing or hiking according to your comfort level. Waterproofing is an important feature of a backpack. It needs to have everything you need while on the trail, because you don’t want all those things to get wet and ruined, right? Most of the backpacks are waterproof and can withstand against hours of rain and pouring. Fast and Lightweight: This backpacking style means that the priority of the hikers is, moving quickly, this means that he can cover long distances fast and have less weight on his backpack in order to carry it around easily. In this backpacking style you might have to sacrifice few leisure. 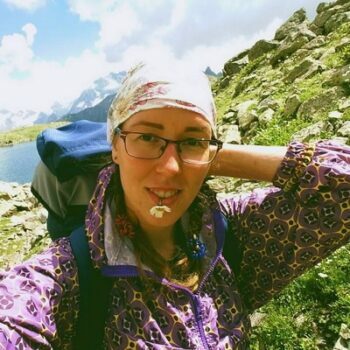 Slow and Steady: Some backpackers prefer the slow and steady pace and to cover a lot of distance isn’t in their priority. In this style of backpacking, hikers usually have time to enjoy leisure like photography, breaks, and camping. So, if this style is more related to you, then you should pick a backpack that suits this style best. 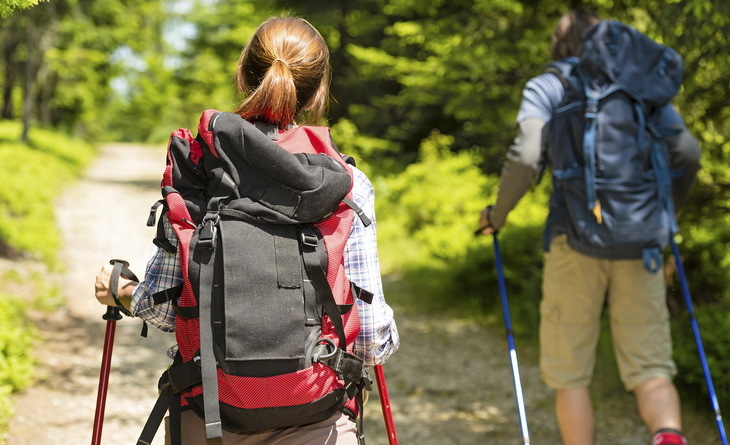 Thru Hikers: Thru hikers, mostly cover long distance trails and they need heavier gear. This style of hiking requires planning and preparations and a backpack that can carry such gear. The priority of these hikers is simplicity and a suspension with organizational proficiencies, because you will be needing the packs for longer periods. Ultra-Lightweight: As you can guess by the name in ultra-light backpacking the number one priority is the weight. This trip can be a week or a month long. 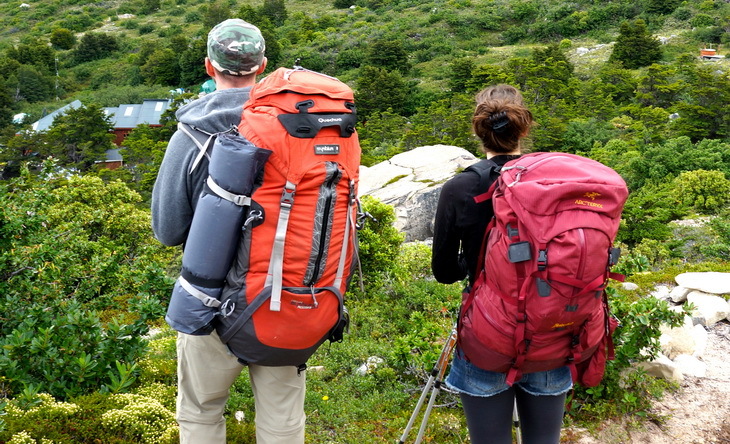 Backpackers who are used to ultra-light backpacking will prefer ultra-light backpacks. Other features might not be a big concern for them. Let the fun begin now! We have arrived at the section where you can peruse the top products on the market as far as the best backpacks for women. The details of each review will give you an idea if that backpack is the right one for you. Happy shopping! Description: The Trespass Sky Fall with 35 liters capacity and zipped compartments is a great choice for a women’s backpack. The bright trendy color and the detailed highlights make it attractive and side mesh pockets give you the extra space. The pack also has bottom access so you can get to the things that you put in the bottom of the back easily. This makes packing and unpacking very convenient. The rucksack cover, gives your backpack protection against rain and you don’t have to worry about your things getting wet. The hip belt and padded shoulder straps make this backpack comfortable and safe to carry around. This backpack is also a hydration bladder compatible. The backpack is made of polyester which makes it durable and perfect for outdoor activities. The mesh air flow system of backpack ensures the ventilation and cooling when it’s being worn. Most users love the design and comfort of this backpack. Related: Since this backpack is compatible with hydration bladders, the SportsTrail Hydration Pack Bladder will work great inside your backpack! It comes in 1.5, 2 and 3 liter options, and includes a 3 piece cleaning kit so you can easily cleanse the bladder. At about $20, you can’t go wrong with this BPA free bladder! 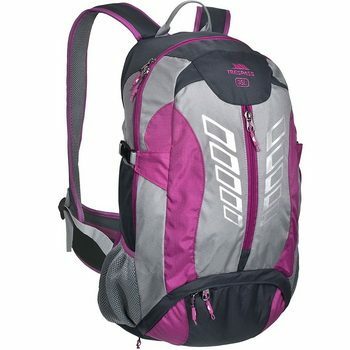 Description: Osprey Farpoint 40 is made of nylon fabric which makes this backpack durable and reliable. This backpack has a light wood frame, suspension to distribute weight evenly. To reduce the chafing there is a mesh on the harness and hip belt and the mesh system also progresses the ventilation. The zippers all lockable, and secure all your things and there is a mesh pocket inside to store little things. Dual compression straps make the backpack stable even if you are carrying heavy loads. 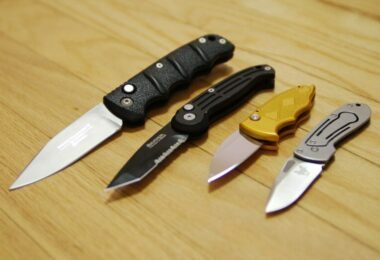 The side handles and the padded top offer you securing if you need to toss the backpack in a bus or a car. Padded shoulder straps add to the comfort level. This product is available in 6 different and vibrant colors and you can get one in your size. The unisex back panel makes this product perfect for a women’s torso. This is a great choice for those who are going for a weekend get away. Related: If you are concerned about keeping the contents of your backpack safe, consider getting a lock. The Master 4688D Lock Cable will secure your backpack, which will only open by combination code. Under $10, this is a great little security device for your valuables. The backpack has internal sewn in back panel sleeve with clip attachment which accommodates up to 3 liters of hydration. The aluminum peripheral frame with internal suspended cross strut gives strong carrying support. The removable front pocket that has an internal key clip and the zippered mesh pocket provides easy organization. Additionally, there are multiple cord tie off points for extra gear attachment on both sides. This backpack is lightweight, comfortable and durable. The air speed suspension and egomaniac design make this fit, lightweight and comfortable. 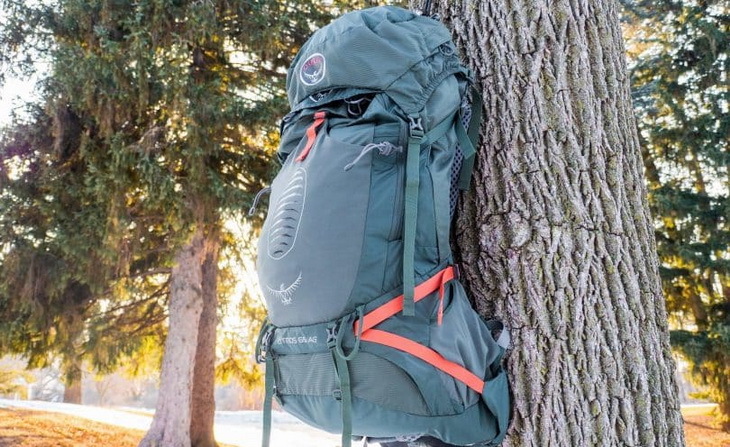 The updated design and the material used is perfect for ultra-light weight backpacking. This backpack is available in small, medium and large sizes. Related: This backpack has space for a hydration sleeve or reservoir. Using something like the Platypus Big Zip LP Reservoir can keep you hydrated and hands free. You can find this in 1, 2, and 3 liter sizes for around $30. Users love the wide mouth opening. Description: The Kelty Redwing 50 is available in three different colors and sizes. This backpack is available in the price range of $100 and $125 depending on where you buy it from. 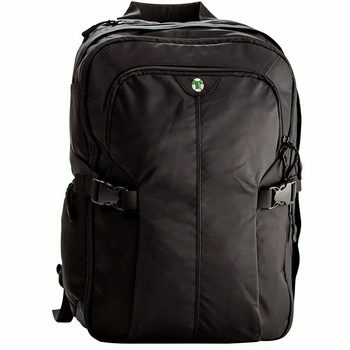 The backpack is made of 420D polyester ball shadow. The unique hybrid loading u zipper design provides easy access to all your gear by giving top loader and panel loader options. Dynamic airflow back panel system keeps the backpack stable thus comfortable. The backpack is also hydration compatible and the Redwing suspension is designed for easy carrying all day. Hip belt, sternum straps and waist buckle are all there to help customize the fit and to conveniently carry around the load. The light beam single aluminum stay keeps the weight off your shoulders. And it offers great organization with all the side zippers and stash pockets. This backpack is perfect for overnight and simple outdoor stays, and is all around comfortable to wear! Related: If you want to ensure your new backpack stays dry, consider getting the Kelty 4201600 Rain Cover, which is upwards of $50 but is made of all nylon and fits over your backpack to keep the entire pack dry. You can also find this in a few sizes to fit you best. 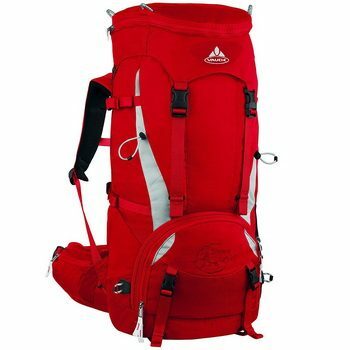 Description: The Vaude Cimone is fairly priced at some $245, and is available in hot red color. This backpack is specifically designed to adjust according to a women’s torso. The removable top lid compartment can also double as a wash bag. The soft padded shoulder straps make it extremely comfortable. The front outer pocket makes the organization easier. The side compression sacks provide strength and support.The rain cover is included to give protection against rain. The high quality torsion flex frame makes this product reliable for long term use. 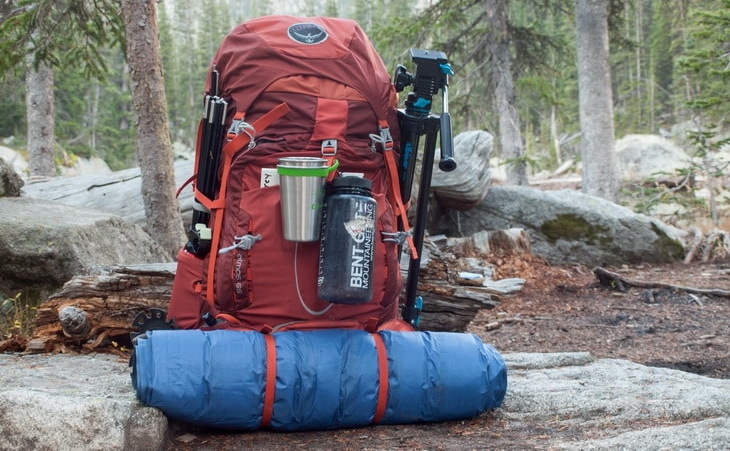 The capacity of this backpack is 63 liters. The side mesh pockets and softly padded removable hip belt with zip pockets provides extra space. The backpack is made of polyurethane fabric which makes it perfect for trekking. Overall this product is a great investment choice for long term use. Users like the bright red color that stands out and is easy to see, as well as the loading capacity, which means they can fit everything! Related: Since this backpack is so spacious, you can feel free to bring along a lantern, such as the UST PL20C3D Day Lantern. It will fit right inside this huge backpack, and it works for 30 days straight. It’s got a rubberized material on the outside and is water resistant, letting you see great at night! Description: The Tortuga Air is made of 100% nylon and imported fabric. This backpack can also be used as a carry on, which means you can easily travel with it even on an airline. The backpack has front opening and offers easy packing and unpacking. This backpack has a laptop and a tablet pocket so you can store your gadgets safely in there. And this backpack also comes with a front and hanging pocket giving you extra space. These pockets make it easy for you to organize your front and to access your stuff. If the space still isn’t enough, then you can expand the backpack 2 extra inches and store your stuff with ease. Also, to make sure that your important stuff is secure, you can lock the zippers on the main compartment and travel without worrying. This backpack is perfect if you travel a lot. Users like the durability, front opening, and the fact that their items can stay organized! Related: If you have a concern that your backpack doesn’t stand out from the rest, be sure to include an ID tag on it so you can easily identify your bag. Having something like the ProudGuy Luggae Tags will assure you stand out because you can choose from several colors, all for under $10. Description: The Deuter ACT Trail 24 is reasonably priced at around $120. This backpack is made of nylon which makes it durable. The product is ultra-light weight and versatile. The frame is flexible to make it comfortable for different body types. Air contact trail system ensures stability. Zipped front compartment gives you space to keep maps. The front has a two way zip which allows you to access the stuff that is below easily. 3D Air mesh lining makes it highly breathable. The shoulder straps are contoured to provide support and comfort. The ventilation is given by Air contact pads which perform an air pump effect, prompting the exchange of air. 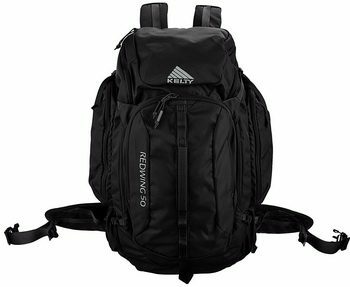 This backpack is really good if you are going on a long camping or hiking trip and the trip requires a lot of travelling. The frame gives body hugging fit to ensure the comfort and even load distribution. This backpack also comes with a detachable rain cover and its hydration system compatible. With this backpack moving around is extremely comfortable and convenient. Related: Stay hydrated with the CamelBak 62202 Hydration Pack as it will fit right inside of your backpack, for under $60. You can choose your color, and it is made from 210D Nylon material. It also has a pocket! 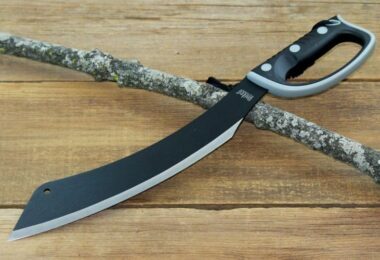 Put this in your new backpack and hit the trail! Choosing the right kind of backpack is an important decision and you need to have necessary information about what you are buying. 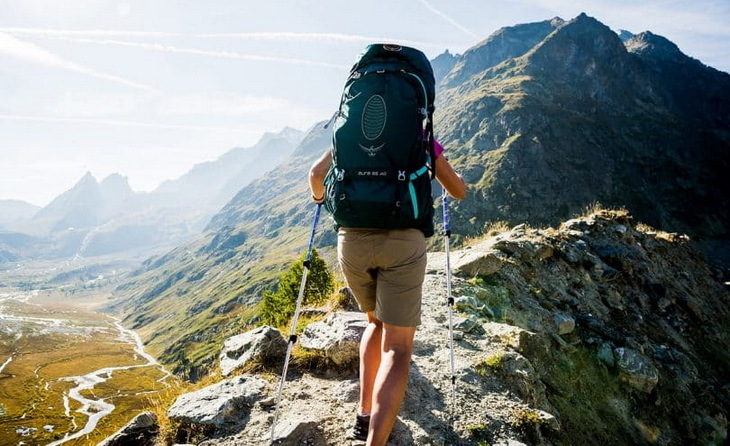 To get the right backpack for your trip you need to first decide what style of backpacking you do and always make sure that the product that you are buying fits you right. There are a lot of products available in the market which can be a bit confusing, so therefore we have narrowed down some of the best backpacks available for you which are mentioned above. You surely would find the right product from one of these. Did you find our article useful? If so, please feel free to share it, or leave a comment in the comments section below.